Use the HW12ACU Hawking Wireless AC1200 USB Network Adapter to instantly increase the speed of your network via USB port. Make the move to the latest Wireless-1200AC network standard. The small, compact profile of the HW12ACU Wireless AC1200 USB Network Adapter is perfect for discreetly upgrading your laptop or desktop with the blazing fast speeds of Wireless-1200AC. Maximize your networking flexibility, giving yourself greater range and overall performance. 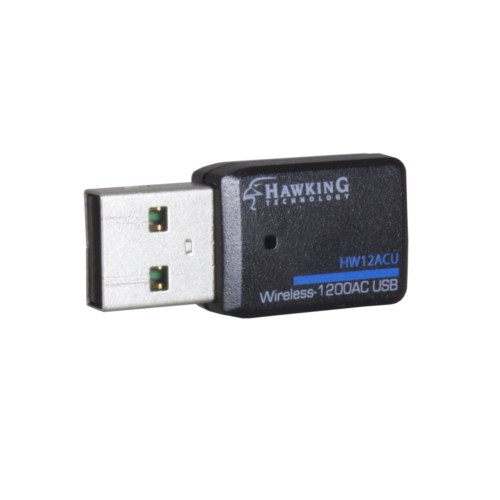 The perfect addition for your laptop, the HW12ACU Wireless AC1200 USB Network Adapter is unobtrusive in design but packs a powerful punch, giving speeds up to 6x faster than 802.11n built-in WiFi adapters. The HW12ACU also supports 802.11a/b/g/n backwards compatibility, meaning you can still connect to older routers/repeaters/access points that are not yet on the 802.11ac standard. Stay portable while you are at home or on the go. 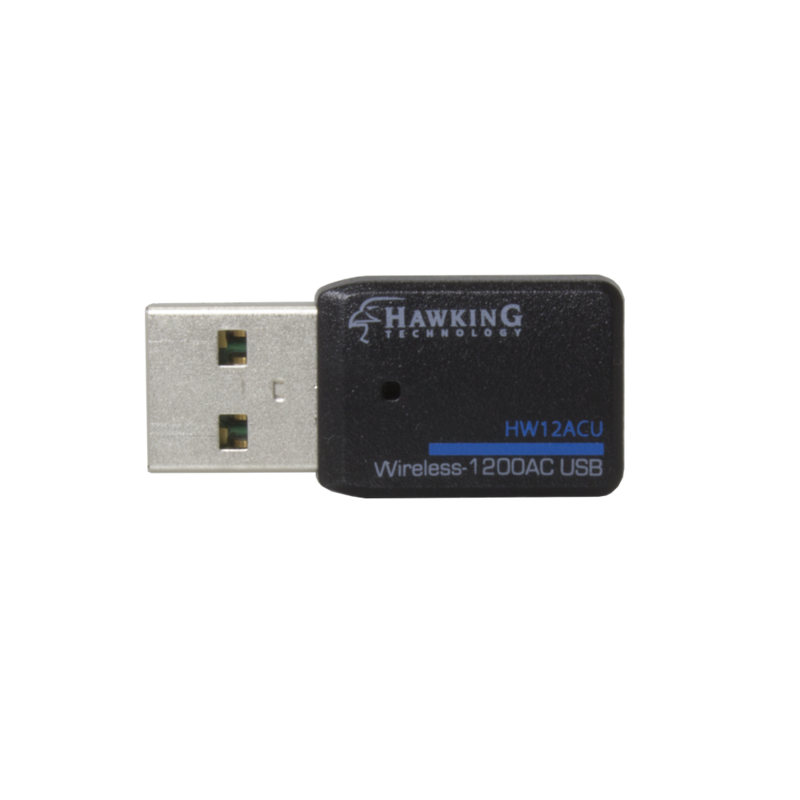 The HW12ACU Wireless AC1200 USB Network Adapter will deliver convenient and consistent WiFi coverage for seamless HD streaming, gaming and other data-intensive activities. 2.4GHz Wireless 802.11b/g/n is the most commonly used wireless standard. Because of this popularity, interference and lag are common in the 2.4GHz network, especially in areas with a lot of wireless networks. 5GHz Wireless-AC was designed to get past this interference. Using a different frequency allows 5GHz Wireless-AC to maintain high speeds and throughput. 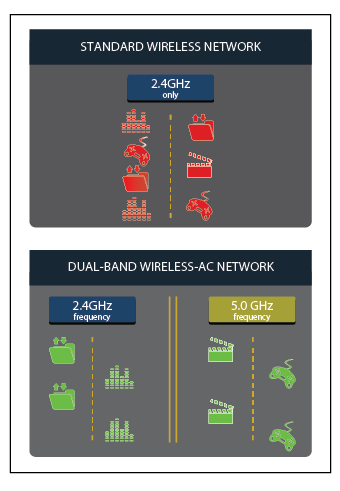 The trade off of 5GHz Wireless-AC is the range is reduced when compared to 2.4GHz wireless networks. Wireless-AC is built on a Dual-Band standard. Dual-Band Technology provides maximum flexibility allowing selection of the popular 2.4GHz frequency for long range applications or selecting of the faster, less-crowded 5.0GHz frequency for data intensive applications. 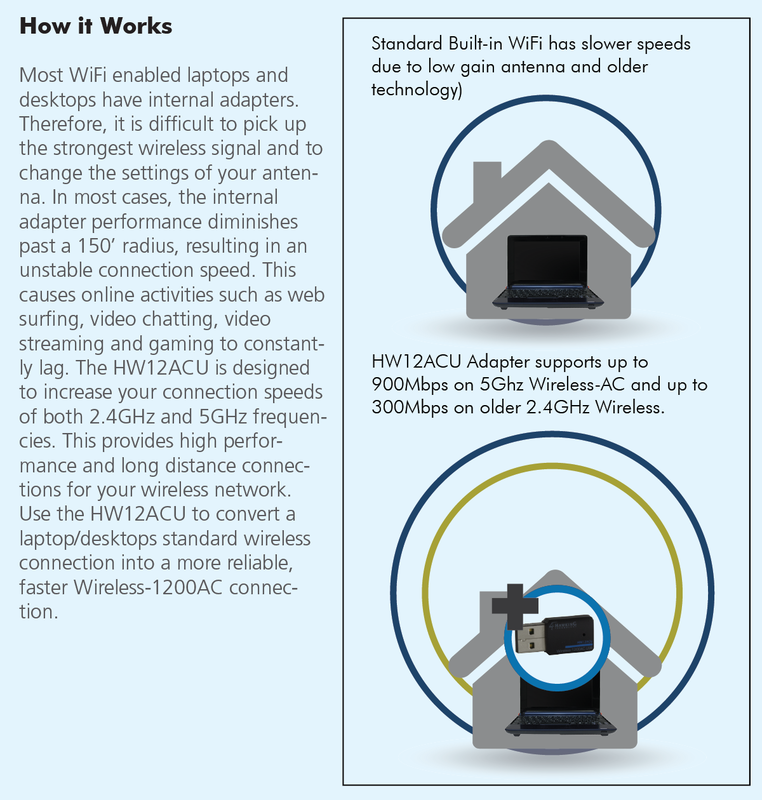 With HW12ACU Wireless-AC, you have the option to connect to 5.0GHz network for high speed streaming or 2.4GHz for more distanced connection. Multi-User, Multiple-input, multiple-output technology allows a supported router to communicate with multiple devices such as smartphones, tablets, smart-tvs, computers simultaneously. This should drastically improve your WiFi performance. 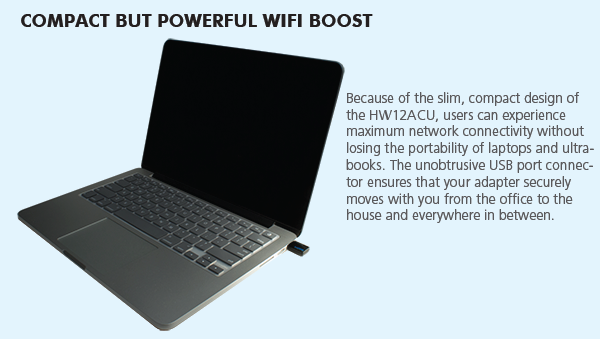 The HW12ACU will operate faster because all devices on the network have less time to wait to get data from the router, thus reducing lag and buffering when watching video, playing games, etc. 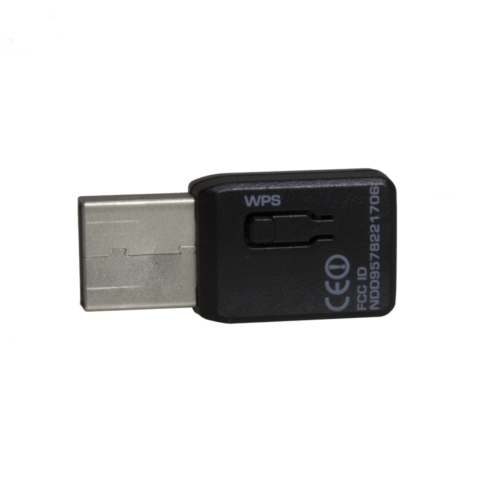 The HW12ACU supports WMM (WMM Wireless QoS). This means that this feature, when enabled on your supported router, gives priority to voice and video traffic over WiFi. Any WiFi devices that are video messaging or watching streaming video will have higher priority over other internet traffic. This should allow a smoother and clearer video for the user.